Su Casa is a part of the uno pizzeria chains and so can be found near them in downtown Chicago at 49 East Ontario Avenue. Su Casa sticks out like it’s pizza counterparts because it is in an 1867 converted carriage house. 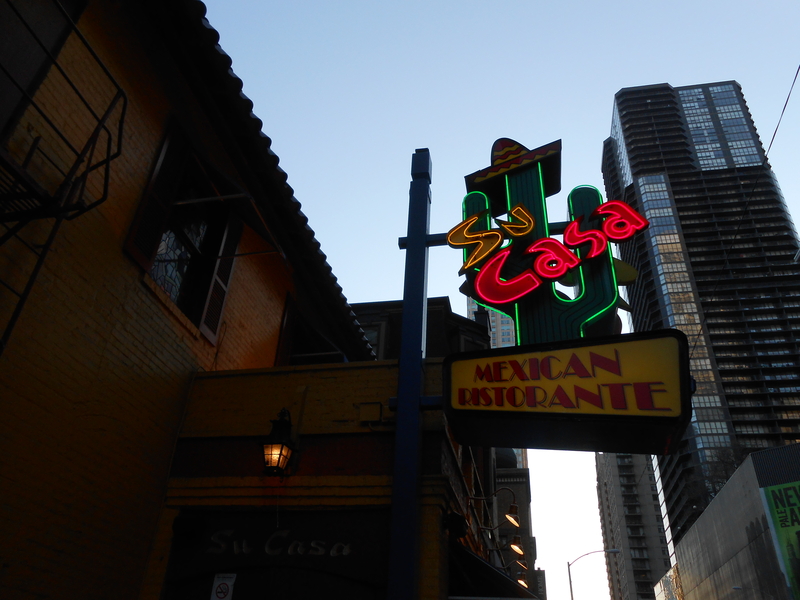 Su Casa is an upscale Tex-Mex restaurant that was opened in 1963 by Ike Sewell, the creator of the ‘Chicago deep dish pizza’. I’ve passed Su Casa and it’s pizzeria siblings multiple times but finally went in recently for dinner to Su Casa with a friend. They brought us colorful chips and salsa and we asked for water. I wanted horchata but they don’t serve it. 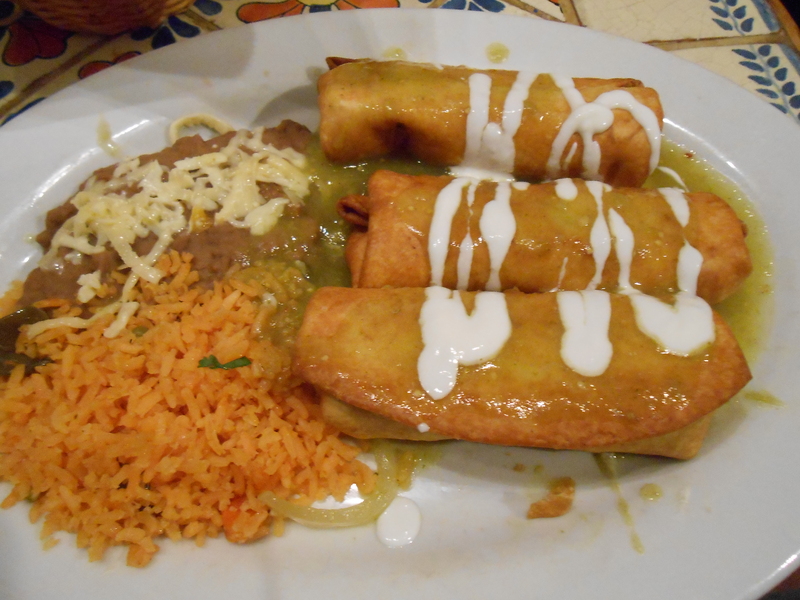 I looked through their menu and ordered from the Hacienda Dinners section the chimichangas with chicken. (The chimichangas come as vegetable but you can add meat for .99 extra) It comes with cheese and sour cream and salsa verde. It came with refried beans and rice. I’m not a big fan of salsa so I asked if I could get mine without it and our server said yes, looked at it where I was pointing on the menu again, said no, and then walked away without trying to see if because of that I would want to order something else. I was worried that the salsa would be inside the chimichanga or in a way where I couldn’t avoid it. When it arrived it was drizzled on top, which I found annoying because it would have just been one less step not to drizzle green salsa on top. It wasn’t bad though, nothing was spicy and it was more food than I could eat. Su Casa is dark, and with the food, dimly lit space, and music I found myself really tired. There is outdoor seating available that people seemed to be enjoying. The food was good but they don’t seem to do substitutions and the overall service seemed to not make sense. They put us in a corner with a ton of other people when the restaurant wasn’t packed and there were cozy booths open. A couple that sat down next to us was rather unhappy about it.